Primorye is a little-known region of Siberia. It is situated in the Russion far east, and its coastline borders the Japan Sea. Long ago this region was known as Manchuria, magnificently described by the Japanese filmmaker Akira Kurosawa in his film Dersou Ouzala based on the story of Vladimir Arseniev, a topographer sent to survey the unknown lands of the Oussouri River valley at the beginning of the twentieth century. 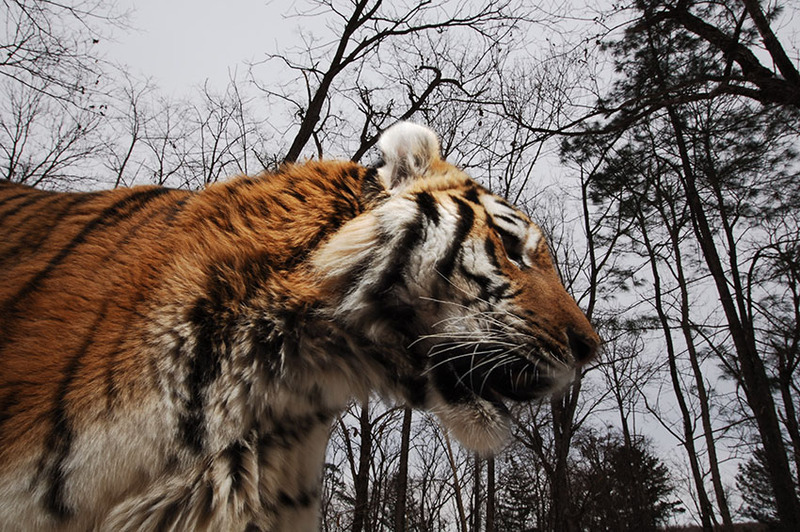 The Amur Tiger is better known as the Siberian Tiger. I invite you to follow me in the taiga, in the footprints of this unique cat, which is now on the route to extinction at the hands of poaching and deforestation. Of course, encounters with a Siberian Tiger in the forest are very rare, and are perhaps even not to be desired, given the power of this animal. Nevertheless, we can follow the teams of anti-poaching wardens in one of the reserves where the tiger is protected, and we can discover its habitat, watched over daily by these men. By travelling across this typically Siberian region, we will also find ourselves in an animal rehabilitation centre, where orphaned tiger cubs are prepared for their return to life in the wild. This is a rare opportunity to observe and photograph such an exceptional animal in semi-freedom, maybe also the rare Moon Bear, another victim of poaching. You will have realised that this trip allows us primarily an up-close experience of the various protection and rehabilitation methods for the large animals of the region. But other observation are possible, especially on the shores of Lake Khanka with is home to large colonies of birds. I have made this trip twice before, in summer and in winter. But our best chance of observing the furtive and rapid movements of the big cat is in the thick snow, and of hearing its husky growl in the cold Siberian winter. These unforgettable experiences show us just how perfectly this powerful animal is adapted to its extreme conditions.